Leaving Stockholm, hit the decks to enjoy archipelago views before the sun sets. 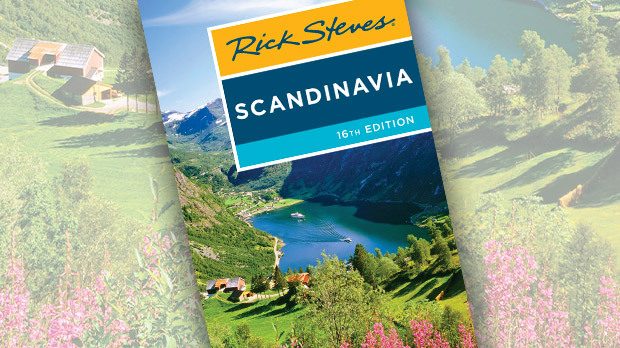 You can cover a lot of territory in Scandinavia without ever checking into a hotel. Overnight luxury ferries stacked with saunas, smörgåsbords, and duty-free shopping sail nightly between Stockholm and Helsinki. Imagine enjoying a Scandinavian feast with a vista of archipelago scenery. Budget travel rarely feels this hedonistic. Two fine and fiercely competitive lines, Viking Line and Tallink Silja, connect the capitals of Sweden and Finland. Each line offers state-of-the-art ships with luxurious meals, reasonable cabins, plenty of entertainment (discos, saunas, gambling), and enough duty-free goodies to sink a ship. The Pepsi and Coke of the Scandinavian cruise industry vie to outdo each other with bigger and fancier boats. Of the two, Viking has the reputation as the party boat. Tallink Silja is considered more elegant (but still has its share of sometimes irritating and noisy passengers). 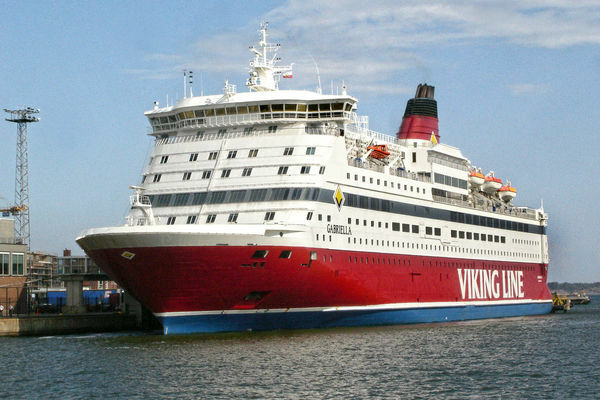 Both Viking and Tallink Silja sail nightly between Stockholm and Helsinki year-round. In both directions, the boats leave about between 16:30 and 17:30, and arrive the next morning around 10:00. 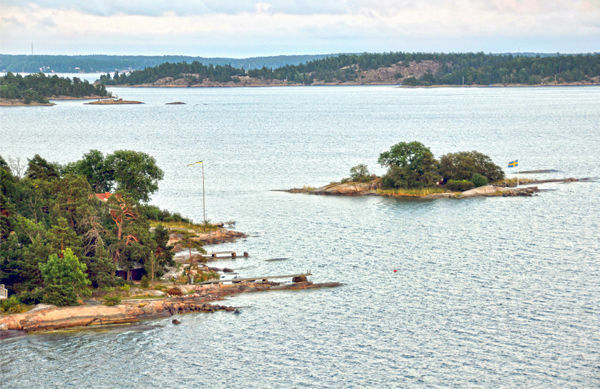 During the first few hours out of Stockholm, your ship passes through Stockholm's archipelago. The third hour features the most exotic island scenery — tiny islets with cute red huts and happy people. Going in this direction, I'd have dinner at the first sitting (shortly after departure) and be on deck for sunset. As with Scandinavian hotels, ferry fares vary by season, by day of the week, and by cabin class. Mid-June to mid-August is most crowded and expensive. Fares drop about 25 percent off-season for departures Sunday through Wednesday. In summer, a one-way ticket per person for the cheapest bed that has a private bath (in a tight, windowless, below-car-deck "C"-class stateroom shared with other travelers) costs €35–80. For a similar cabin, couples will pay a total of about €120–130 in peak times. If that sounds expensive, remember that you're getting overnight lodging, a fun scenic cruise, and substantial transportation to boot. The fares are reasonable because many locals sail to shop and drink duty- and tax-free. It's a huge operation — mostly for locals. The boats are filled with about 45 percent Finns, 45 percent Swedes, and 10 percent cruisers from other countries. The average passenger spends as much on booze and duty-free items as for the boat fare. To maintain their tax-free status, the boats make a midnight stop in the Åland Islands — a self-governing, Swedish-speaking province of Finland that's exempt from the European Union's value-added tax. While ships have cheap, fast cafeterias as well as classy, romantic restaurants, they are famous for their smörgåsbord dinners. Board the ship hungry. Dinner is self-serve in two sittings, one at about 17:30, the other around 20:00. You'll pay extra for both the dinner smörgåsbord (usually around €35–40) and for the breakfast buffet (€10); you can get discounts for pre-booking both together. The price includes free beer, wine, soft drinks, and coffee. Make sure to reserve your table, not just your meal; window seats are highly sought after. Smörgåsbord translates to something like "bread and butter table." It has evolved over the centuries to the elaborate spread seen today. The key is to take small portions and pace yourself. Begin with the herring dishes, along with boiled potatoes and knäckebröd (Swedish crisp bread). Next, sample the other fish dishes (warm and cold) and more potatoes. Move on to salads, egg dishes, and various cold cuts. Don't forget more potatoes and knäckebröd. Now for the meat dishes — it's meatball time! Pour on some gravy as well as a spoonful of lingonberry sauce, and load up on more potatoes. Reindeer and other roast meats and poultry may also tempt you. Still hungry? Load up on cheese, fruit, traditional desserts, cakes, custards, and coffee. Europe's most enjoyable cruise, between Stockholm and Helsinki, features dramatic archipelago scenery, a setting sun, and a royal smörgåsbord dinner. Dance until you drop and sauna until you drip. The next best thing to being in these Scandinavian capitals is sailing between them.